Sired and raised in the Kingdom of Azeroth, Anduin Lothar has spent well-nigh all of his fifty-seven years in service to the lands he calls home. 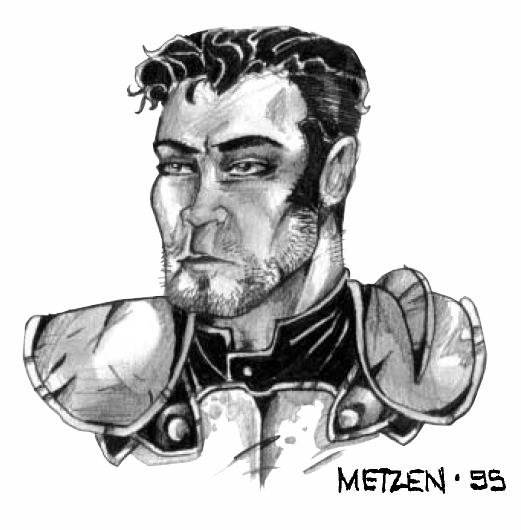 A proud and noble warrior, Lothar was accredited a position within the King’s Honor Guard at a considerably early age. After becoming a Knight and rising to the position of Armsman to the Brotherhood of the Horse, he undertook, from Archbishop Alonsus Faol, a quest to seek out the Tome of Divinity at the Dead Mines – a task which all but killed him. Upon returning the sacred writings to the Clerics of Northshire, Sir Lothar led the armies of Azeroth into battle against the Orcish Horde. As the Horde ultimately ravaged the Kingdom of Azeroth and killed its advocate, King Llane, Lothar rallied his countrymen and charted their retreat across thte Great Sea – and onto the shores of Lordaeron. Gul’dan – Warlock of the Inner Circle and Destroyer of Dreams – is the true mastermind behind not only the inner workings of the Horde, but those of the secretive Shadow Council as well. Trained in the arts arcane by the Daemon Kil’jaeden, Gul’dan is perhaps the most powerful warlock ever to walk the temporal plane. Obsessed with discovering the legendary Tomb of Sargeras, he hopes to obtain the ultimate power by deciphering the secrets ascribed by the Daemonlord since times long forgotten. Gul’dan has used his magiks to bring into being a host of servants for the Horde. 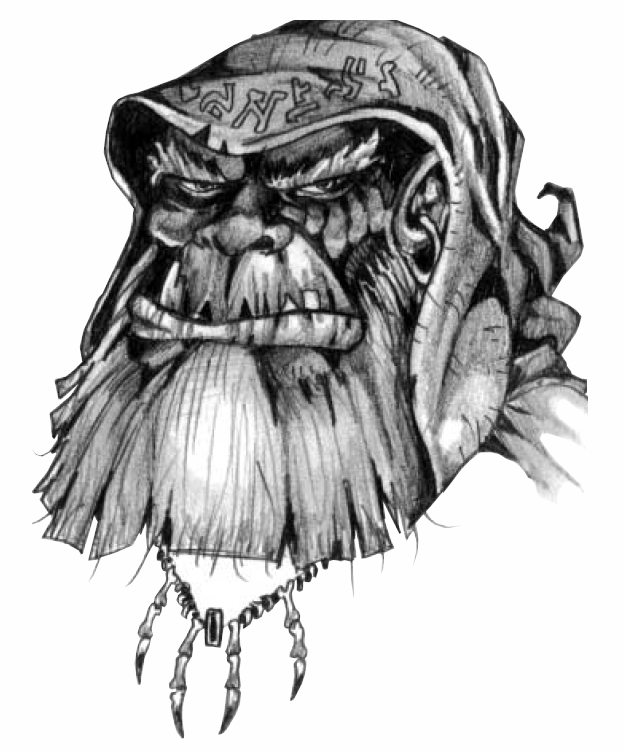 Necrolytes, Ogre-magi, and the dread Death Knights are all results of his endless experiments with the forces of magic. Although his spawn of his work have strengthened the Horde, the true loyalties of Gul’dan lie only with himself and his quest to become omnipotent. Apprentice to the aged Archbishop Alonsus Faol who was the leader of the Holy Order of Northshire Clerics that guided the Kingdom of Azeroth during the First War, Uther Lightbringer learned first hand that faith alone would not defeat the terrible Horde. 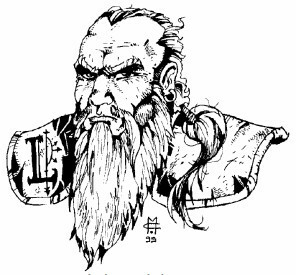 Many of the Clerics were slain during the First War, and so the Archbishop devoted himself to rebuilding the Order as to provide the citizens of Lordaeron with hope and faith. Knowing that this war with the unholy Orcs could not end soon, Uther discerned that the Archbishop’s new Order must be able to defend the people as well as heal them. Thus, young Uther took up sword and shield and issued the call to the most pious amongst the Knights of Lordaeron. Many great Knights heeded Uther’s beckoning and joined the Order which became known as the Knights of the Silver Hand. With the strength of arms – and faith – possessed by these Paladins, Uther hopes to bear witness to the free people of the Northlands that Orcish Horde can be cast back into the stygian pits that spawned them. Initiate of the fifth circle of the Shadow Council and Chieftain of the Twilight’s Hammer Clan, Cho’gall is one of the grimmest and most respected leaders within the Horde. 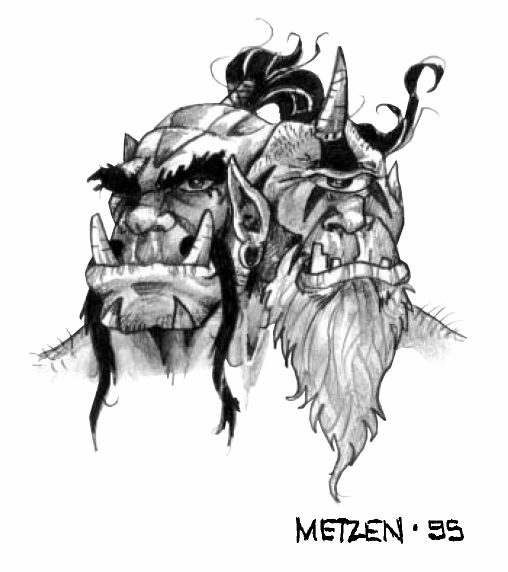 Cho’gall was the first of the Ogre-Magi, having tutored himself in magic before the Horde’s passing into Azeroth. Cho’gall has a special loyalty to Gul’dan who helped the struggling yet determined ogre to master the arcane energies of the Twisting Nether. Cho’gall is a firm believer in his clan’s sacred mission to bring oblivion to all peoples of the far-realms. 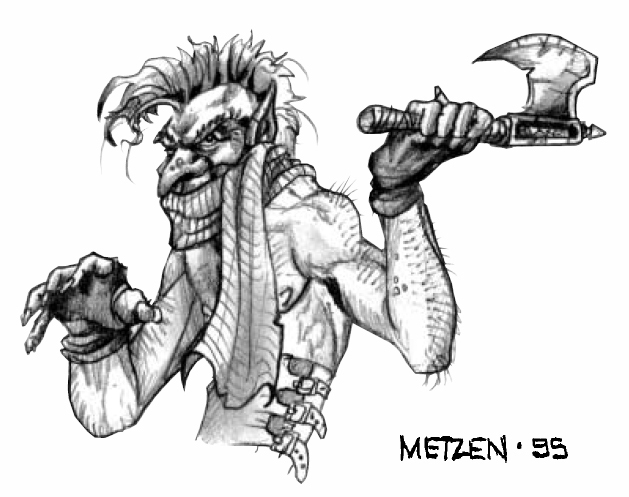 The feared, rogue Troll known as Zul’jin has gained a great amount of notoriety over the years. 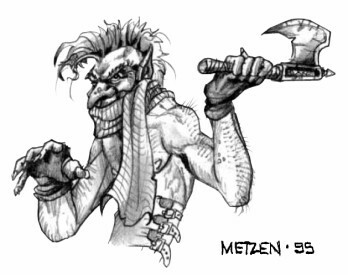 Known best for his daring raids on guarded Elven villages, Zul’jin brought together many of the nomadic Troll warparties and forged them into an intimidating fighting force. The Trolls rever Zul’jin and follow his leadership unconditionally. When approached by the Doomhammer about joining up with the Horde, Zul’jin initially declined. But with the increased tensions between the Trolls and Elves due to the coming war, Zul’jin knows that only an alliance with the Orcs will save his people.